"One team of journalists" and "one broadcast." 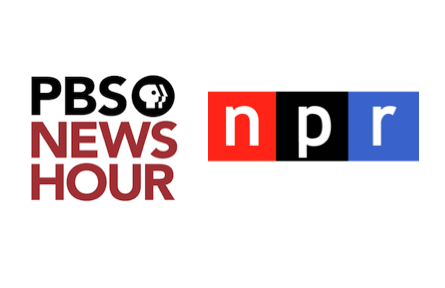 NPR and PBS NewsHour announced Tuesday morning that they have reached an agreement to jointly cover the 2016 elections. PBS NewsHour co-anchors and managing editors Judy Woodruff and Gwen Ifill are slated to anchor the conventions’ special broadcasts, as their convention floor coverage will feature NPR reporters such as national political correspondent Mara Liasson, senior editor Ron Elving and political editor Domenico Montanaro, as well as the NewsHour’s Political Director Lisa Desjardins.